Yesterday when we were looking at how Myspace has hugely benefited from Facebook’s Open Graph, we kept seeing pundits referring to it as a “Timeline app” and saying the site has the Timeline to thank for its user resurgence. However if you take a look at Facebook’s official list of apps for Timeline, you’ll noticed it isn’t anyway to be found. Still, Myspace shows up in the Ticker when you use its music player, and seemingly functions the same for users. 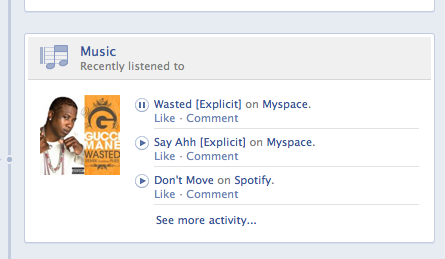 Given this boost from Facebook, Myspace is getting similar benefits that music apps like Spotify have enjoyed. Still there was some general suspicion about the numbers: the Myspace music player doesn’t require you to make a Myspace account, so if that’s the cause for the uptick, what gives? Well that can, of course, be tied to Facebook integration. Each new user that connects via the Myspace app on Facebook counts toward that big number and your Myspace profile is a horribly pixelated version of your Facebook profile picture and a few other elements of your profile. This heavy-handed Facebook integration led us to an entirely new question — will Myspace hold a coveted Timeline app spot? At the moment the options are still limited since Facebook introduced the early selection last month. “The difference between Timeline apps and the existing apps on Facebook is that Timeline apps can be added directly to Timeline and can post activity to Timeline as it happens. 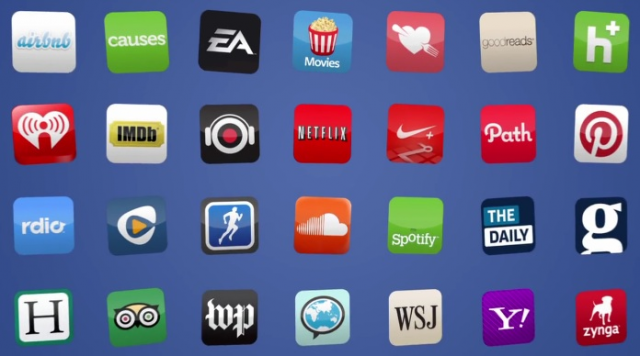 Users should choose to add apps to their Timeline around the things they want to share. So it sounds as if there is extra incentive to become a Timeline app instead of “just” an app. We can understand the confusion because the constant-activity updating Ticker is a real-time application and if Myspace — or other app activity — is popping up in there, you might confuse it for being one of the Timeline apps. And it appears that there’s more than a little overlap here. We compared the permission screens between the Myspace app as well as the Soundcloud (an official Timeline app) and found they are identical (the “Only Me” designation on the Myspace app was originally “Friends”). We also granted the Myspace app permission, used it, then found it posted immediately to our Timeline. Next we tried logging out of Facebook and logging back in to see if Myspace would required a permissions prompt again — the only permissions prompt was the “Connect with Facebook” icon, not the original permissions screen we saw (something that’s been phased out it seems, although this is sort of splitting hairs). It then welcomed us back to the music app and picked up streaming music where we’d left off. It’s sort of toeing the line with what we were introduced to at f8: the new ideas about seamless sharing and app activity. It appears that more apps than are advertised have posting access to our Timelines. How the Open Graph and Timeline collaborate seems like a work in progress, and while there might be a distinction between app types, we doubt there are hard and fast rules. We’ve emailed Facebook for clarification and will update as soon as we hear back.